Laylat al-Qadr (also known as Shab-e-Qadr), translated as the Night of Power (Night of Honor) or Night of Decree is the anniversary of the night when the first verses of the Qur'an were revealed to Prophet Muhammad, blessed be his soul, in his profoundly deep meditation at the cave at the Mountain of Light (Jabal Nur). It is one of the most holiest night for the world. in the Night of Power: And what will make you comprehend what the Night of Power is? The Night of Power is better in its status than a thousand months. Everything in the creation has an appointed time, the earth has its seasons and different human affairs also have its best moments of execution. As the rainy season is suitable for farming, similarly for the attainment of nearness to God, specific times , specific days and specific nights are most suitable, for example, the time of Tahajjud prayers in the most deepest part of night, Friday prayers, month of Ramadhan, the Day of Arafah, moment before breaking the fast after sundown. So also the Night of Power is marked as the most suitable night of mystery for attaining nearness to God. The month of Ramadhan has been singled out for special worship ('Ibadat) and exclusive favours. It is a month unlike other months. One reason for this, as defined by the Qur'an, is because the Holy Qur'an was revealed in this month. Says Allah in Sura al ­Baqarah: The month of Ramadhan, that in which the Qur'an was sent down; a guidance for mankind, and clear signs of guidance and distinction (2:185). In fact, according to a hadith of the 6th Imam, Jafar as-Sadiq, may God be pleased with him, the other holy books were also revealed in this month. Among the nights of Ramadhan is one special night, which is better than a thousand months (HQ, 97:3). Good deeds performed on that single night are equal to those performed over a thousand months. Some commentators believe it was the night when the Qur'an was brought down from Baytul M'amur (Heavenly abode), for Jibrael to reveal in parts to the Prophet. Sufi Master Bawa Muhaiyaddeen in his discourse on Lailatul Qadr said: Furthermore, God, the Singular One who rules and sustains, gave these explanations these words that will be known as the inner meanings of the Qur’an and as words of divine knowledge - to the Rasül, may peace be upon him. He explained the meanings of the fast to the Rasül, saying, O Muhammad, even as I sent down the first sürat to you on Mount Hira, I sent down this light and rahmat. I sent it to you as Lailatul-Qadr. When I sent it to you that day, the first light which descended embedded itself in your inner heart. I sent down the light known as Lailatul-Qadr and kept your inner heart open. I made the heart of an ummï into a heart of ‘ilm - the heart of an unlettered one into a heart with sacred knowledge. I made it into rahmat. I made it remember. I made it into light. I made it so that you would be understood. And to you I revealed the rahmat that is Allähu as the light, the Lailatul-Qadr. I fed this light to your inner heart. O Muhammad, if man climbs the black rocky mountain of his heart and goes beyond, if he opens the bismin-käi, the minute morsel of flesh, goes within, climbs beyond, and worships Me with a melting heart, I will send down the divine knowledge known as Lailatul-Qadr. I will send this into his inner heart. O Muhammad, I will send down the same divine knowledge, the same Lailatul-Qadr, to anyone who opens his melted inner heart and offers worship. This qadr, this ray, will resplend. It will resonate in the inner heart. I made the angel Gabriel hold you tight, three times. Then after you had crushed the three desires, earth, woman, and gold, 2 after you had crushed arrogance, karma, and maya, desire, anger, sin, and hell, after you had crushed all these black stones that arise from the bile, I sent down the light known as Qadr. I made it descend and embed itself in your inner heart. That day, that first time, I sent the light, I sent the Qur’an. All the lights I sent down to you after that were like rays of splendor to your inner heart. Every sentence and every word was a ray of light. All these rays were the Lailatul-Qadr. The Light known as Nür Muhammad accepted each meaning I sent down and made it its own. Once established, it is revealed on the outside as the Thiru Qur’an, and as the inner Qur’an, the Thiru-Marai. When it emerges, each light is a ray, a qadr. The ray is the soul. The soul is light. The light is rahmat. The rahmat is fullness. This fullness is the light of ïmän, which is resplendent. This resplendence is the dïn, the light of purity. This light of purity is the Life of life, the Hayät. This Hayät is mysterious. And I, as the Mystery within the mystery, will be the One who bestows on all lives the rahmat of Bismillähir-Rahmänir-Rahïm - the limitless grace of God, most Merciful, most Compassionate. O Muhammad, explain the meaning of ïmän to your followers, give them divine knowledge, open their inner hearts, and break down the rocks of darkness, the black rocks of sensory enticements. Break down earth, fire, arrogance, karma, maya, anger, lust, selfishness, pride, and jealousy. When man breaks down these black rocks and crushes them with his wisdom, when man breaks the hard rocks with the light of läm (Nür), the form of mim that comes into being will be Muhammad. When this sürat, this form of Muhammad, comes into being, when this state dawns, worship with a melting heart will grow. When this worship begins to thrive, the first sürat will dawn in his inner heart as Lailatul-Qadr. By the wisdom of God and his Prophet, the very knowledge of when exact night of Laylat al-Qadr is kept hidden. It is advised to journey to seek this hidden jewel. The traditions indicate that it is to be sought in one of the last ten nights and preferably in the last three odd nights. Aisha reported that the Apostle of God said: "Search for the Blessed Night in the odd (nights) from the last ten (nights) of Ramadhaan" (Bukhari). It was the practice of the Holy Prophet his companions to make I'tikaaf (seclusion) in the Mosque for the whole time offering Divine service during the last ten days of Ramadhaan. please have forgiveness for me. · If first day of Ramadan starts on Monday, the Night of Power will be on 21st Ramadan. · If first day of Ramadan starts on Saturday, the Night of Power will be on 23rd Ramadan. 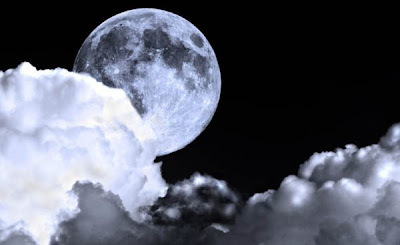 · If first day of Ramadan starts on Thursday, the Night of Power will be on 25th Ramadan.
. If first day of Ramadan starts on Tuesday or Friday, the Night of Power will be 27th Ramadan. · If first day of Ramadan starts on Wednesday or Sunday, the Night of Power will be on 29th Ramadan. Moulana Abdul Hai Farangi Mahli has also mentioned in his book that he has implemented the above mentioned dates and found them blessed with the Night of Power. (credit) A similar methodology to find the Laylat al-Qadr is also mentioned by Shaykh Ibn Arabi. Truly, God alone knows the true Secret of this Hidden Night.